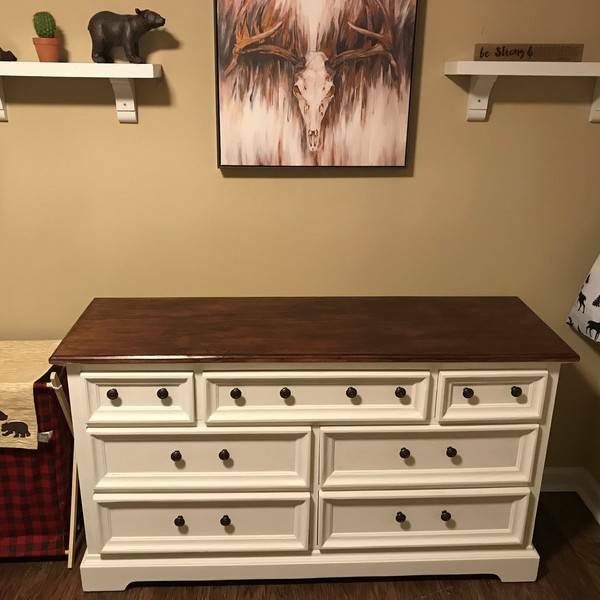 In preparation for our first child, my wife and I decided to take an old, worn dresser and restore it into a baby changing table. 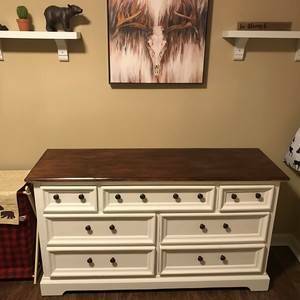 The old dresser was made out of quality wood but had years of stain and paint layered onto it. 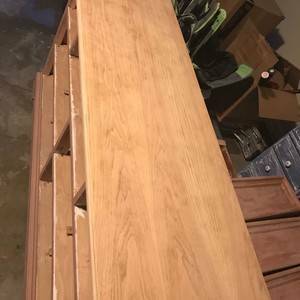 We knew the wood underneath would make the end results worth the effort! 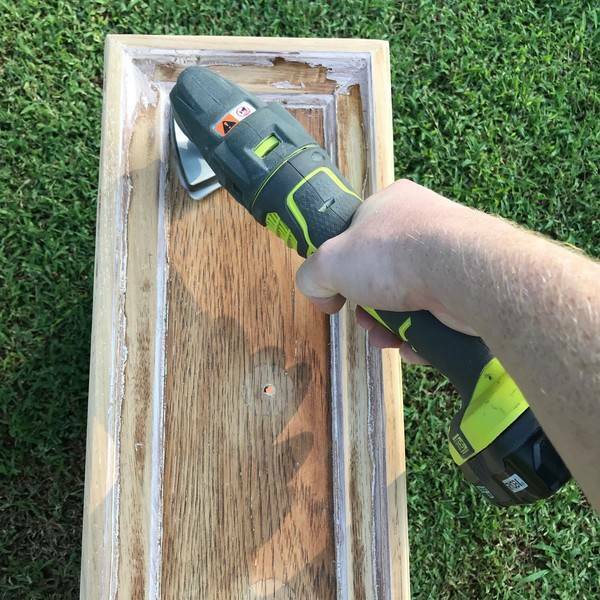 The project consisted of removing the old paint and stain by using a variety of sanders, paint/varnish remover, paint scrapers, and a heat gun! After the old paint and stain was removed and the surface was smooth; it was ready for a new coat of paint and stain! 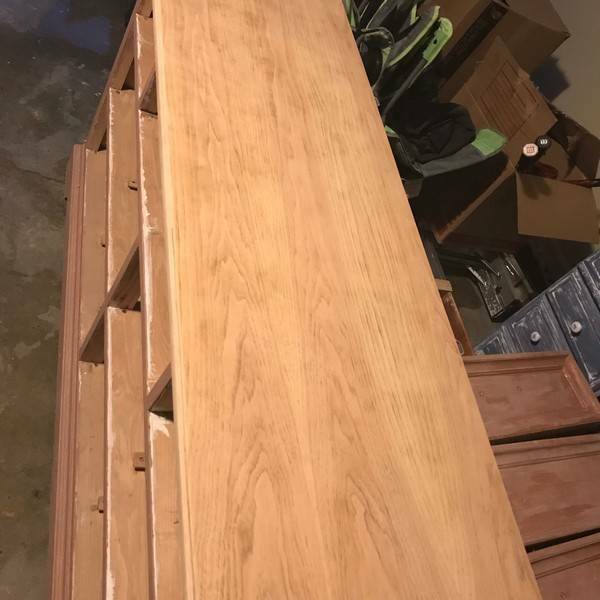 We are pleased with the finished result and are ready to put it to use! 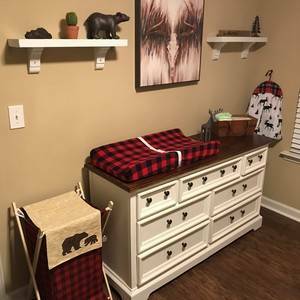 Awesome job on the changing table and how cool that your baby will be able to use that piece of furniture in the future, too! In preparation for our first child, my wife and I decided to take an old, worn dresser and restore it into a baby changing table. 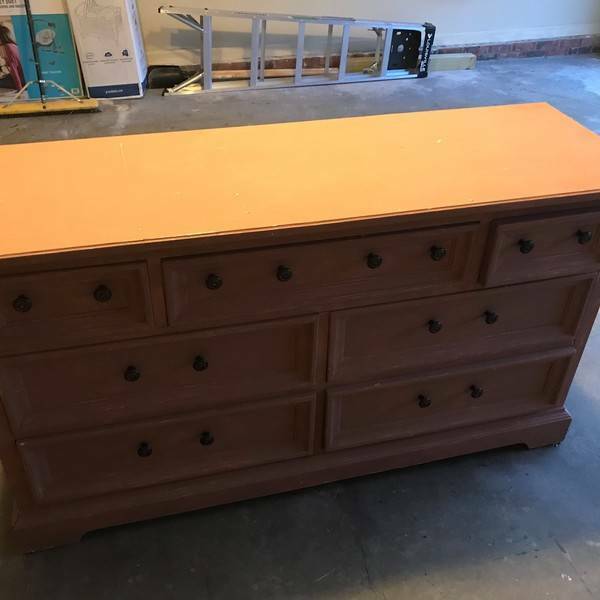 The old dresser was made out of quality wood but had years of stain and paint layered onto it. We knew the wood underneath would make the end results worth the effort! 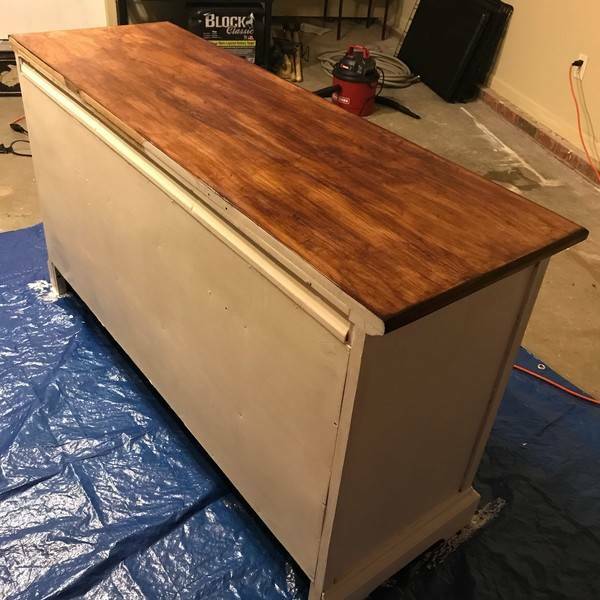 The project consisted of removing the old paint and stain by using a variety of sanders, paint/varnish remover, paint scrapers, and a heat gun! 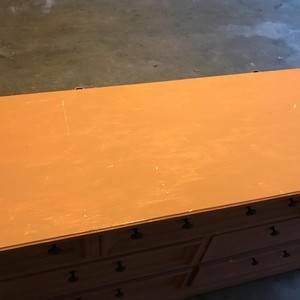 After the old paint and stain was removed and the surface was smooth; it was ready for a new coat of paint and stain! 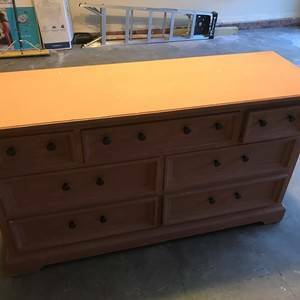 We are pleased with the finished result and are ready to put it to use!